Peter Powell, "Hi everybody! You're listening to The Vapors and you're going to see the chart! All in all it's another edition of Top of the Pops!" Chart music: The Vapors. Turning Japanese . Liquid Gold: Dance Yourself Dizzy . Still as loony as ever! The drummer is kept more in the background and it's one of the guitarists (made up as a clown!) who gets the hilarious xylophone solo played on his hat. Were the other band members getting jealous of the attention the drummer was grabbing? Is this a hint of fault lines in the United States of Craziness? "A wild... bunch of... fun loving musicians," says Peter Powell groping for the right words as he back announces the song. The camera crane operator also appears to be having problems as Peter Powell drifts in and out of focus. 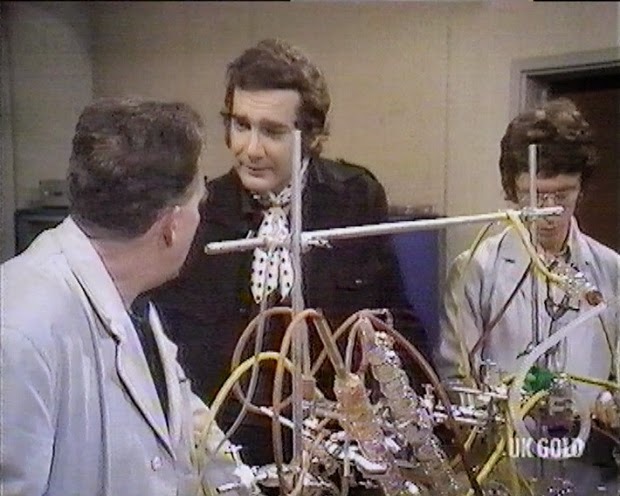 This week Dr Quist is even grumpier than usual perhaps because John Ridge has turned up for a vital experiment sporting an outrageous cravat rather than a lab coat. In fact the two men are still niggling at each other over one thing and another. Anyway after Ridge and co have finally told Quist to his face he needs a holiday in that way that only ever happens on TV he promptly announces he is going to be away for a few days anyhow and stomps off. Forget the supposedly vital experiment, which admittedly looks like a kids’ toy with lots of coloured tubing and dials. Turns out that Quist, like Miss Marple, is someone you should never invite over because you’re likely to end up dead if you do. The experiment on Ridge's cravat had begun. 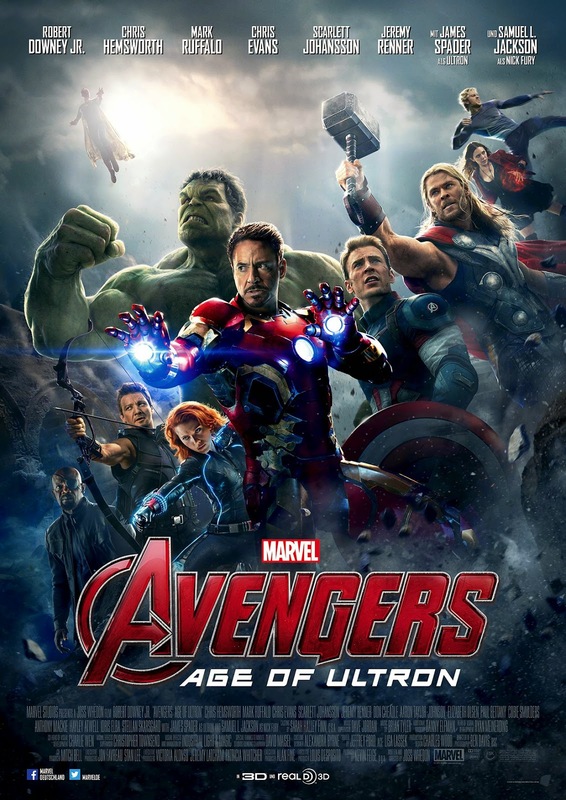 Joss Whedon set the bar of expectation high with the first Avengers film and this second employs a similar palette with even better results. Whedon is a writer who is always able to find a lighter moment to punctuate what could otherwise be a po- faced affair. In the midst of skull crushing, building raising, static buzzing action he’ll add a knowing gag or a character beat that reminds us these are (mostly) human heroes not without their flaws. If some of the plot doesn’t necessarily pass rigorous inspection, the sheer momentum of the movie ensures it sails through its lengthy running time like a breeze. It’s never boring, always restless with ideas and frequently thrilling. 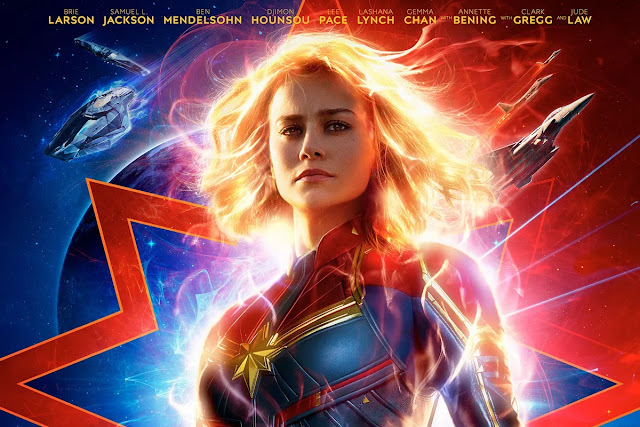 In contrast to almost every superhero movie it is paced perfectly too. Tom Allenby’s second incredible adventure in the village of Rooksbourne begins when he discovers that a girl called Ellie appears to share his powers of controlling the elements- but is she a friend or a threat? What has happened to all the birds and animals in the woods? Who is the mysterious figure dressed in a cloak of leaves? What power is causing violent incidents to occur at Harrow Hill School? As the truth unfolds, Tom and his friends battle a newly awoken enemy that wants to wipe out all humans. 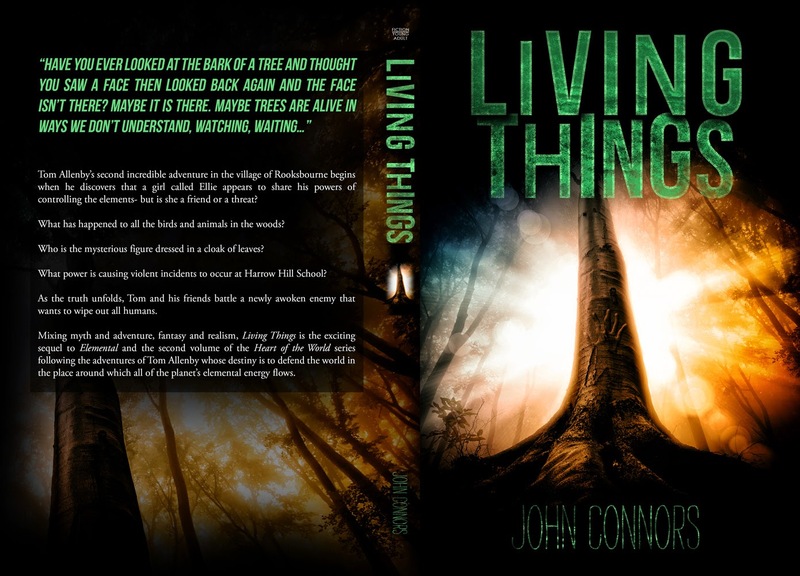 Mixing myth and adventure, fantasy and realism, Living Things is the exciting sequel to Elemental and the second volume of the Heart of the World series following the adventures of Tom Allenby whose destiny is to defend the world in the place around which all of the planet’s elemental energy flows. Mike Read, "Welcome ye of good music taste to another Top of the Pops, and over the chart run down we're going to listen to The Detroit Spinners." Chart music: The Detroit Spinners, Working My Way Back To You – Forgive Me Girl (Medley). The Bodysnatchers: Let’s Do Rock Steady . Turn down the sound and The Bodysnatchers have arrived early for the mid 1980s; Miss SJ ("on lead guitar") in particular with her suit jacket, red skirt and blonde hair with dark roots hairstyle. The song itself is what dates the band to 1980. It's a great bit of 2 Tone. A good start to the show. The Bodysnatchers whip up some enthusiasm in the notoriously dour Top of the Pops audience. Yikes, it’s the Sixties in microcosm! The opening sequence of this unusual episode features that jaunty music and those dolly birds plus bold colours that are mandatory in every Swinging Sixties drama. Except it’s supposed to be 1970 so it must have seemed just as surreal to viewers then. These gaudily attired gals procure sweets to two City gents as writer Dom Shaw’s look at advertising begins. As with a number of episodes there is something of the now about The Devil’s Sweets while at the same time it sits rather comfortably in it’s period setting too. "Keep watching for doom, we're off the pub"
Why didn’t more people watch The Musketeers second series? It’s a scenario akin to an end of the football season relegation struggle when something unexpected happens and the team stays up after all. 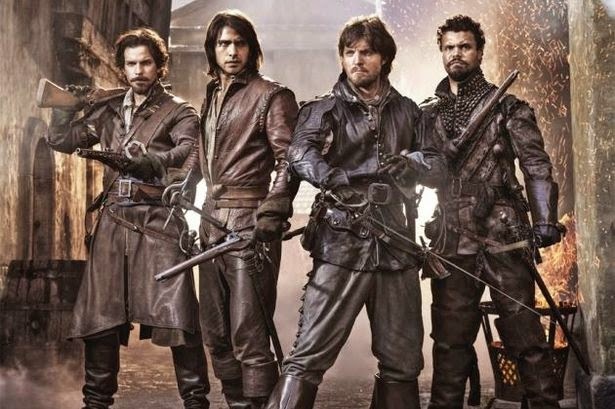 Thus it was that mid- way through the on//off broadcast of the second series The Musketeers had a third confirmed even though the ratings this year ranged from disappointing to disastrous. Someone somewhere in a position of authority clearly likes the series otherwise it would almost certainly have been axed. In this case though, unlike other shows that suffer a ratings decline, the show is improving rather than getting worse. Indeed it could well be that years from now this little seen second season will be uncovered as a lost gem, something that slipped under the radar for a number of reasons. What starts out as a slightly dull experiment into a soil virus turns into an interesting and perceptive examination of loyalty and truth. Using the language of the spy thriller, Kit Pedlar and Gerry Davis’ wordy but absorbing script centres around a computer that predicts potential criminal behaviour being tested by MI6 like a sort of employee tribunal. If the machine decides someone is a security risk they are suspended and this is what happens to both Toby Wren and temporary Doomwatch biologist Stella Robson. An incensed Dr Quist goes on the trail of the information but the episode really revolves around Commander Keeping, an insignificant looking civil servant complete with moustache and big coat who is far more than he seems. Steve Wright, "Hello, good evening, and welcome to Top of the Pops with the sound of Rush and Spirit Of Radio." Chart music: Rush, Spirit Of Radio . The Dooleys: Love Patrol . I imagine my reaction on seeing The Dooleys again must be like that of the villagers living at the bottom of the road to Dracula's castle. Once again the ancient horror has resurrected. A terror which we thought long defeated has sprung back to terrible, terrible life. Joy is banished from the world. The woods. And the darkness... and the howling wind! Will the snows never cease? They seem to reach back forever! I yearn for the grave. You have to worry about scientists during the 1970s. For the second week in a row something nasty escapes into the public domain. This time a plague of genetically engineered super rats rampages around London in Terence Dudley’s lively if a tad schlocky story that splices genetics and the art of seduction into one melodramatic package. After a series of rat attacks (rattacks?) is reported the Doomwatch team investigations uncover vermin that have been genetically altered to be thinking and responsive to the point where they can open cages and use basic tools. If this all seems a little silly then wait till you see the scenes where the production unwisely chooses to show them actually attacking. It’s a shame they do as otherwise the use of rather chilling sound effects and cleverly edited montages of our furry feinds is more than adequate to demonstrate the danger. Sticking a toy rat to someone’s knee and asking them to pretend to be in pain is probably not. 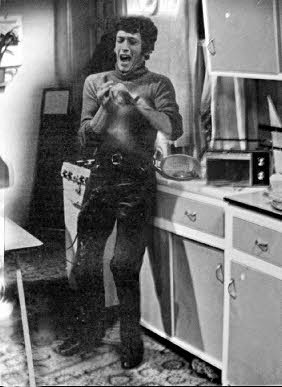 Robert liked to dance and sing in his kitchen when everyone was out. Kid Jensen, "Hi there. You've joined us just in time as we punch out more pop on this week's edition of Top of the Pops, and here's the music of Jefferson Starship." Chart music: Jefferson Starship, Jane . The second time this has opened the programme. 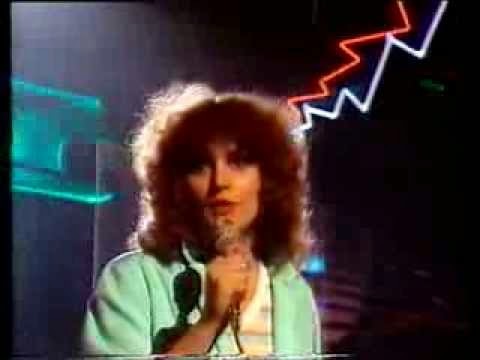 Someone obviously likes the song but presumably Jefferson Starship are unavailable to the Top of the Pops studio and there are no suitable clips to use. 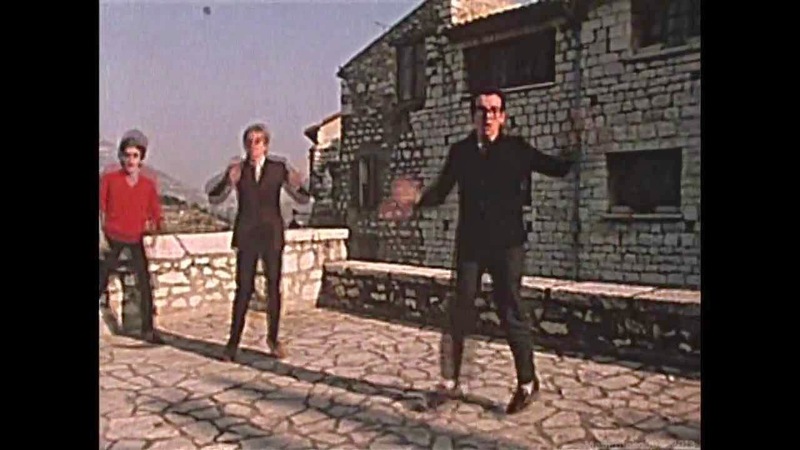 Elvis Costello & The Attractions: I Can't Stand Up For Falling Down . At the end of the song Elvis Costello is winched up and down on a kirby wire. There's also a splendid over-literal moment when Vision Mixer Carol Abbot uses the magic of Quantel to slide a picture of Elvis Costello out of the bottom of the picture; falling down, you see. 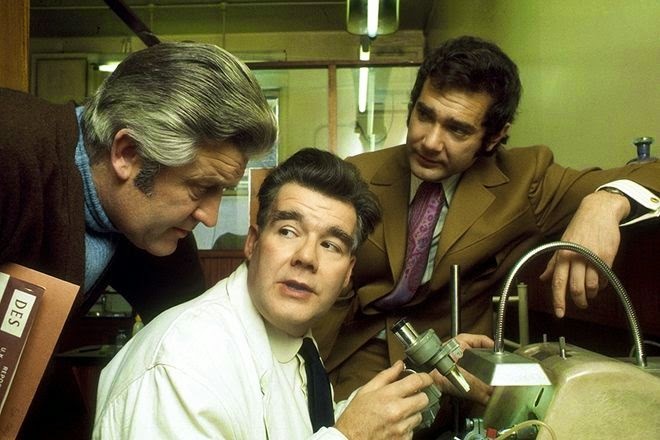 Though Doomwatch is a well known marker in the road of much praised series it hasn’t had the same exposure as some others hence its reputation is more received wisdom than fact. With some episodes wiped and the remaining ones never released on DVD or shown anywhere in a long time this reputation has been fostered by a small band of loyal followers. Now over 45 years old the series is long overdue a re-assessment so that’s what this series of posts is doing. 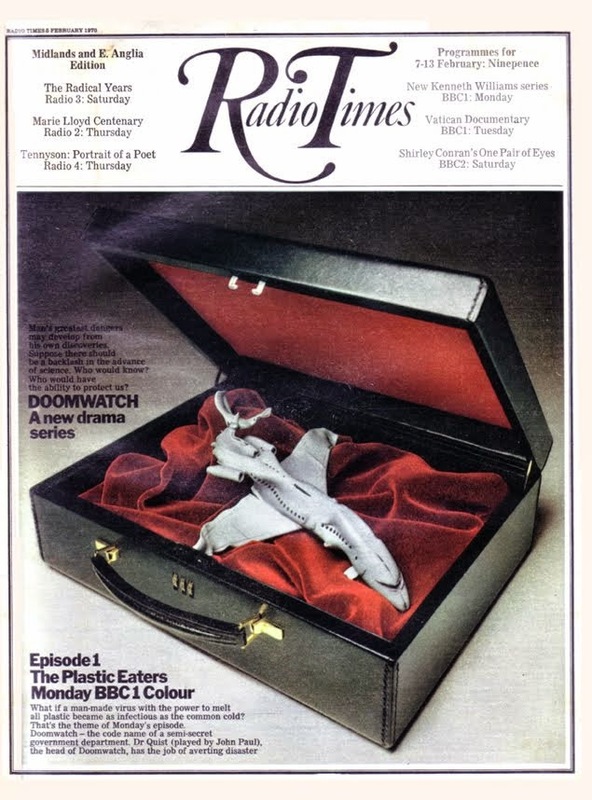 After all at the time it was a big enough deal to get a stunning Radio Times cover (below). Don’t ask where we got the episodes from, we’ll just obviously say John Ridge got them for us. 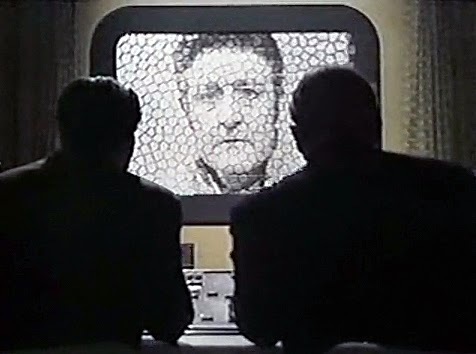 Doomwatch then is an organisation whose remit is to investigate technological issues that could be a threat to mankind. Nowadays it would be called the green agenda but the series deals with all branches of science and beyond. 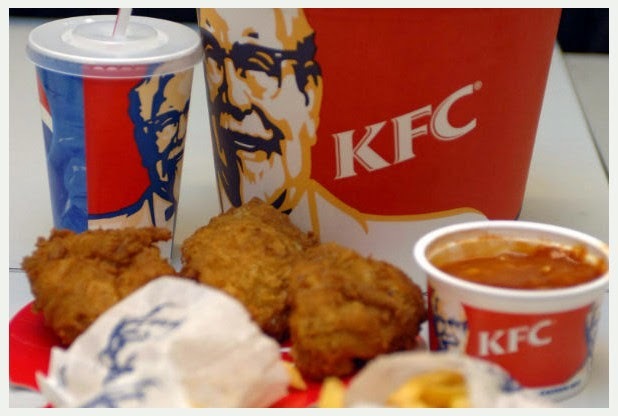 BBC documentary goes behind the scenes at KFC. You’d be hard pressed to imagine it is possible to accumulate three hour’s worth of interesting material on the running of the major fast food business KFC without considerable repetition and you’d be right. What would have been an interesting two part or even single documentary is stretched too thinly across three weeks resulting in an unfocussed programme containing a lot of tiny detail but lacking much wider perspective. There are some funny moments and interesting characters but this food is definitely not fast. There is also the odd habit of flashing up short sequences of thousands of live chickens waddling around a huge barn every so often as if subliminally reminding us that many chickens were harmed during the making of this production! The BBC offers a fresh take on a well known tale. The story of Noah’s Ark is so familiar and often told that you wonder whether there is anything new that can be brought to it. Last year’s Russell Crowe fronted film Noah somehow managed to miss out God altogether and turn the title character into a heartless madman. Thankfully Eastenders scribe Tony Jordan takes the opposite approach, ingraining faith and God as the cornerstone of the story and his Noah is the opposite of mad. Instead he is a family man of remarkable understanding, raising four sons and inspiring utter devotion from his wife. When he embarks on his boat building work it is this faith that is challenged and this lies at the heart of what is a family based drama with just a bit of epic for ballast. "Doesn't look like the ferry's coming, fancy building our own?"